Image courtesy of Marie and our friends at Podstel. Today, we celebrate how far we have came as a community in a short period of time. ‘NOMADS – a life of cheap/free travel’ Facebook group was created two years ago today, one evening whilst I was volunteering in France. From this experience, I wanted to learn, share and connect with those that were also resourceful in finding ways to travel, regardless of financial limitations. At the time, there didn’t seem to be such a platform available, so I decided to start one. However, it wasn’t only to be for seasoned travellers. The space was intended to inspire, inform, and offer encouragement to all those that wanted to live a life on the road as well; an alternative life, finding value in simplicity. As a group, I believe we continue to deliver in all those regards and much more. What we have achieved here in two years in incredible and I feel honoured to be part of this global family. Additionally, last week we welcomed the 100,000th member to our community. Do you know what we are? It is just that: a community. 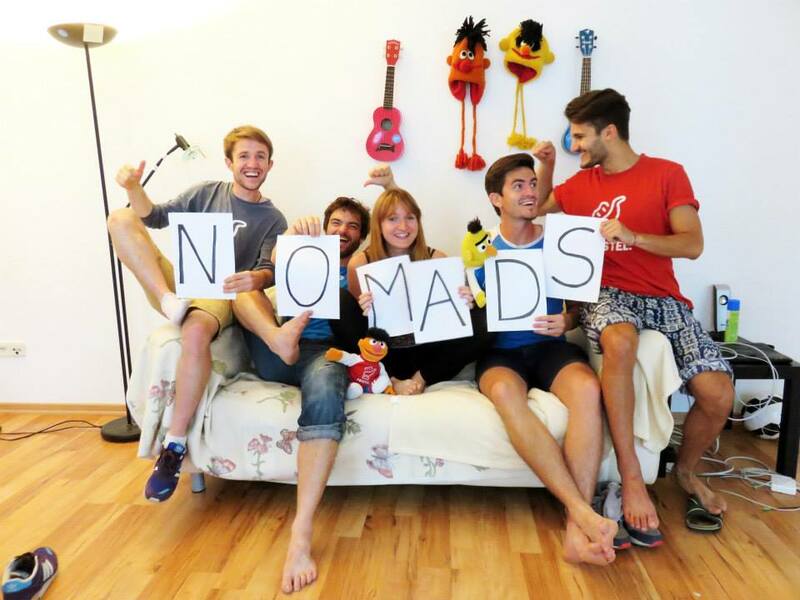 However, what makes the NOMADS group a community? To mark this special occasion, I have invited our members to express what the group means to them and these are their stories. What is the best thing about nomads for me? Well, it has a huge heart. People genuinely care about this group and that’s humbling for me. There is a lot of love within this group, with members demonstrating kindness towards strangers and that my fellow nomads is priceless. That is humanity i’m proud of. “But don’t you feel guilty,” he asked me. We were on a rocky outcrop in Gran Canaria. ‘All that kindness, and you can never repay them.’ We were talking about my exploits, my ego was revelling in them: consistently being hosted, picked up by the side of a road, fed, sometimes even handed money. By strangers. Unexpectedly. I mean, what can you ever do? Mark went on. Mark: a guest at the hostel I was volunteering. In his late twenties. Big mop of hair, stubbly beard, striking blue eyes. You pass the favour on to someone else, I replied watching his confused expression taking shape. It’s the universe in action. Allow others to benefit from the good deeds done to you. Mark was surprised. He had never thought of it this way. We’ve all done it, paying it forward. Consciously or unconsciously. Only some of us realise it. Perhaps I was being disingenuous. Knowing that I’m never going to drive a car, and that I’m not likely to ever own a home, I may never be in the position to pay in kind the exact deeds I’ve benefited from. Balancing the equation will mean something different for me; because I can feel building up inside of me, if I’m honest, the weight of all those positive actions, and can remember whenever I recall them, the smile and kind words of every one of those strangers. Something I’m always striving to make good. Whatever way I can. It’s been a year since I’ve been part of the admin team, and over eighteen months since being a member of the nomads group. What does it mean for your contributions to be acknowledged? A lot. This group is more than a social network to me. It’s a community, 100,000 strong now, transcending borders and culture, ethnicity and background. A group that has me both humbled and inspired, moved and awaken in equal measure. NOMADS is a community in which I truly believe. For me it has nothing to do with travel tips: it’s about sharing values, exchanging experiences, talking about revolutionary ideas, meeting extremely different people and opening minds into a new vision. With NOMADS I learned, among thousands of things, that whatever you need, you will have it using the oldest and simplest technique ever: just asking someone. A year and a half ago, just before the Christmas holidays, I was at a party in Greece, where I just moved to study in an attempt to get to know more of this world. I went out of the bar to smoke a cigarette with a group of other foreign students that were talking about their plans for the holidays. Going back home for few weeks or staying in the city were the only answers, except for someone that said the magic word: Traveling. That was my plan too. I just did some small trips before, always alone, but within my comfort zone. No risks, no challenges. We started talking about our travel plans and we found out that they were more or less the same. We had lots to talk about, so we added each other on Facebook; he added me to ‘NOMADS’ because “you should be in that group, there’s more people with the same interests as you out there”. So I did. And things started to change. I wanted to travel alone, to hitchhike, to camp, to be comfortable with having less, to help others, to put down barriers and prejudices, to explore; to be free. But I never knew how to start, I felt lonely on my search and scared to try. And out of nowhere, there it was: a group of people doing what I wanted to. Solo female travelers, hitchhikers, people living out off the grid, defying the established with love and curiosity. People trusting people. What is it more revolutionary, life changing, than this? Few months later, I cancelled an organized 3 day trip to Crete for a few weeks backpacking around the Balkans. A year later here I am, traveling solo around south america with no money. Just doing what I always wanted to but was afraid of trying: hitchhiking and camping alone, volunteering, meeting locals, living out of my backpack, learning how to not judge, get involved, care about others, question the established, trust, emphatize, learning how to live in the present, to love myself and the others, to be mesmerized by the simplicity of life, to share. This is what Nomads means to me, and I don’t expect more from it than to keep inspiring me on finding my way to be everyday more humble and free, and I hope its essence doesn’t get lost with the time, and that it keeps being a place where people can learn and share about different ways of living more consciously. There are always moments in life where you cross paths with the right person at the right time or discover beautiful inspiration that breathes life into your journey. That’s exactly what I found in Nomads. I met nurturing travellers that shared their experiences with me. I saw loving people giving their time freely for the benefit of others. I felt love, support, inspiration, knowledge, and sooo much more that it became impossible not to share. Each time I come across a new traveler…. I felt comforted knowing I could introduce them to a nomadic family that will help guide their way. My heart loves all of you soooooo deeply. For the people who gave me their time, energy or love….. Thank you for being you. Presented with something, human brains tend to conjure general feelings and overall impressions based on certain internal beliefs. That’s why the word ‘nomad’ means something different for everybody. Ask what it means to one person and they’ll share visions of freedom, adventure or feelings of pure bliss. Others may fill up with ideas of fear, instability or a sense of loneliness. What does that word mean to you, the nomad? Maybe some strange combination of the above – depending on which day you get asked? Either way, emotions are fleeting but a living heart is always beating. The heart of this group is fully alive, and powered by three core principles as I see it. It’s this immaterial foundation that inspires me. Nomads believe in travel as an agent of positive change. For those that desire it – we desire it for them. We go out of our way to help. We see strangers as family. We recognize that small details can be big signs. We choose to be awake while we live. We value freedom for ourselves, and others. We are connected and welcome all who want to be connected with us. Caring, honest and true. Nomads work together, operating from the heart to bring ideas to life. Social technology used to build, rather than distract from creating. With this group of intelligent minds and beautiful souls, the possibilities are endless. I hope we make the most of it. The collective consciousness of this group exerts an immeasurably powerful, positive and giddy vibe. It’s difficult to put that joyful energy into words. If you spend time in the group you know what I mean. People here just want to help others. When we elevate each other, we bring that energy offline and put more goodness into the world. It’s a beautiful thing. There was a child wandering in the vast prairie, alone, searching for the Neverland. Nobody understood or played with him, until one day, he came across a bunch of other kids searching for the same destination! He is never lonely anymore. The child is me and the bunch of others can be found within the Nomads group. Its where my heart belongs. Its my spiritual home! I’ve always had this longing to travel. Everyone around me fit so well in this 9-5 life, making a career, building a house, having kids and getting a dog, it made me want to scream. I didn’t fit in that box and I couldn’t breath. I wanted to run away, but only could see what I wanted to run from, not where to run to. Live seemed a one-way-street. One needs to turn to see the different directions. And so did I. That’s when I found the nomads – and so many of them! Each unique and all united… each supporting the other to make a dream come true. It’s electrifying. With each post, each question and each comment, the group brings all these adventures so close that it takes only a small step to start your own…and inspire the next one ! May many more newbies be infected with itchy feet, and may the more well-travelled members be resistant to the arrogance of experience. 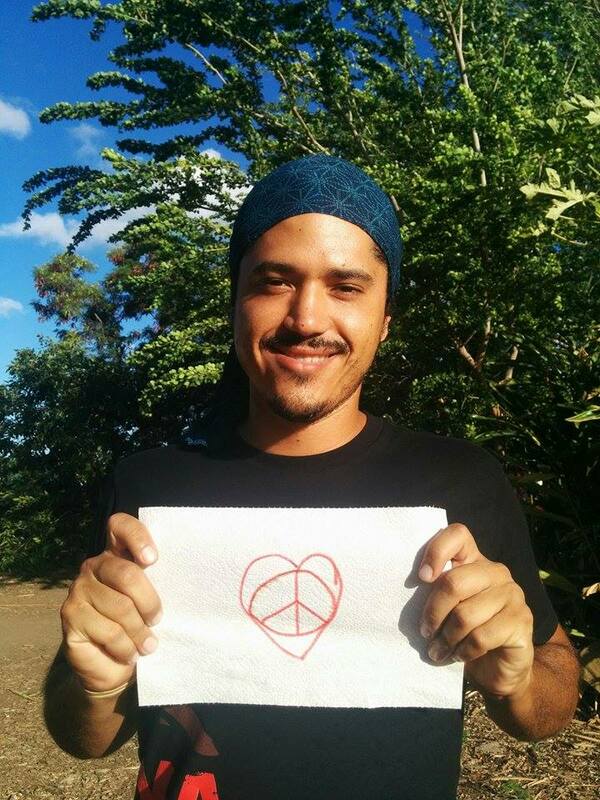 Courtesy of NOMADS community member, Osvaldo.